Public school districts and police departments in the United States often collaborate to address school-based violence and other threats to the safety and well-being of students, teachers, and staff. As a result of these partnerships, law enforcement officers have become an increasingly common presence in schools around the country, even at the elementary school level. But what does research tell us about the impact of school-based law enforcement on school safety outcomes? 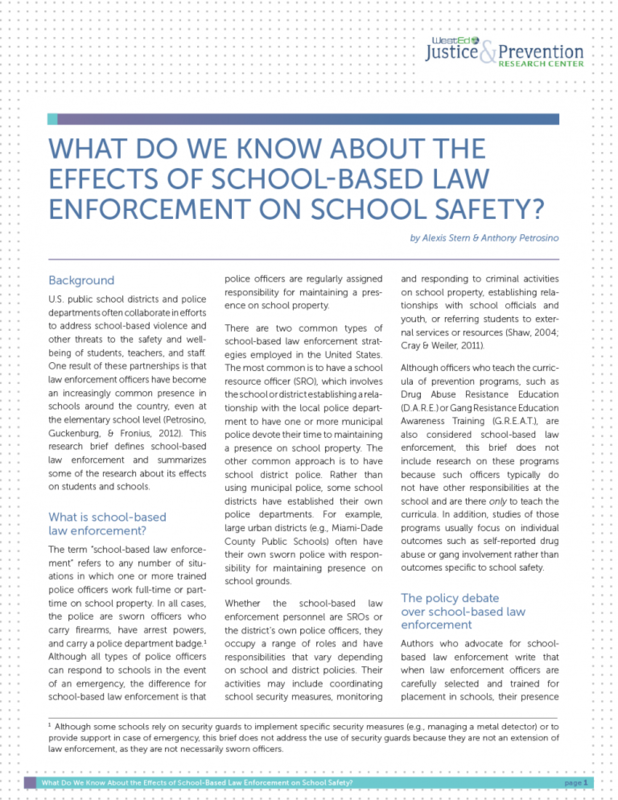 Developed by the WestEd Justice & Prevention Research Center, this brief presents a definition of school-based law enforcement and summarizes some of the relevant research about its effects on students and schools. The authors found little rigorous evaluative research on the effects of having a police presence in schools, but they see promise in future studies that have potential to inform school and district leaders, as well as policymakers. This report, written by WestEd's Anthony Petrosino, Sarah Guckenburg, and Trevor Fronius, documents a systematic search to identify experimental and quasi-experimental evaluations that assess the effectiveness of non-educational policing strategies and programs in schools. Does Having Police in Schools Reduce Crime and Student Offenses? 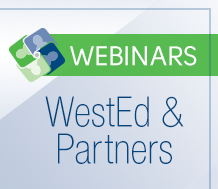 In this archived webinar, crime and justice researchers discuss the preliminary evidence from existing studies about the impact of school-based law enforcement programs. 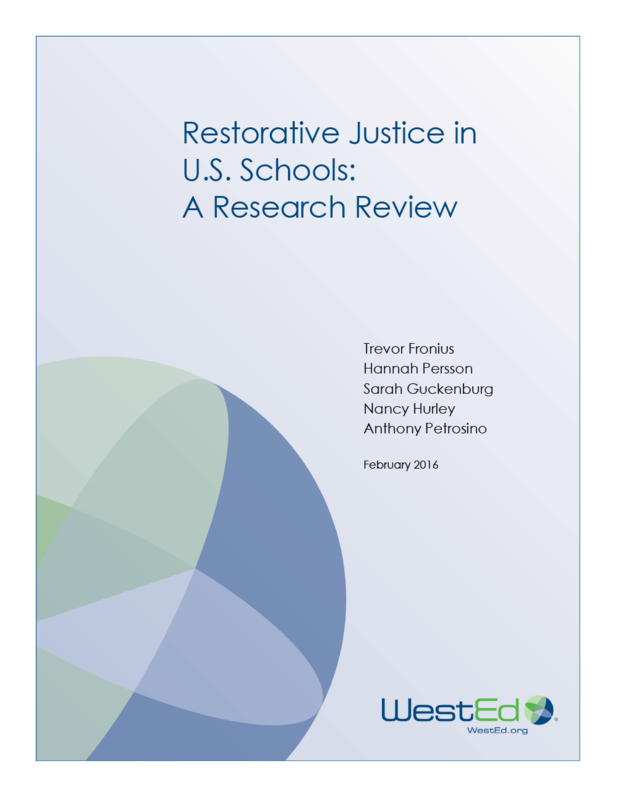 Gain perspective on restorative justice in U.S. schools through this comprehensive review of the literature.